In a matter of hours, the record $1.6 billion jackpot could be yours to keep! Win or lose, the $2 that lottery players spend on a ticket goes toward more than just the winner or winners. According to Florida Lottery, whether you buy a Mega Millions ticket, a Florida lottery ticket or a Powerball ticket, it all goes to the same pot. 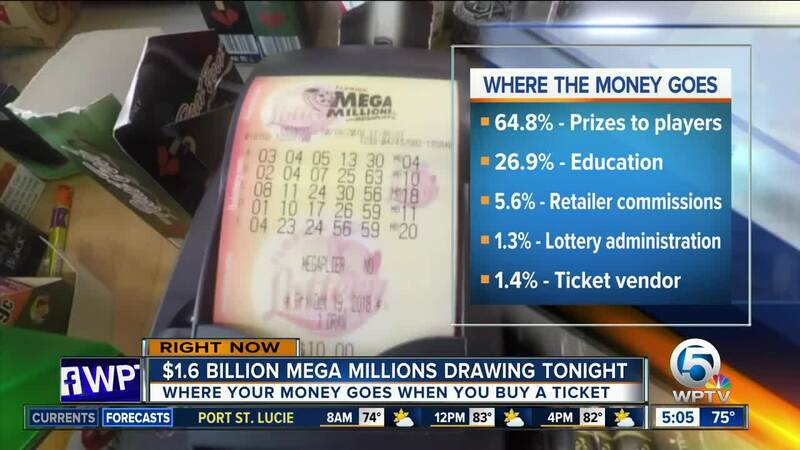 RELATED: How to increase your chances of winning Mega Millions | Are you REALLY ready to win the jackpot? The majority of the funds, 64.8 percent, goes to prizes to players. But a portion, 26.9 percent, of every Florida Lottery ticket purchased gets transferred to the educational enhancement trust fund. Lawmakers and the Department of Education determine how the funds will be used and then it’s distributed to the public education system. 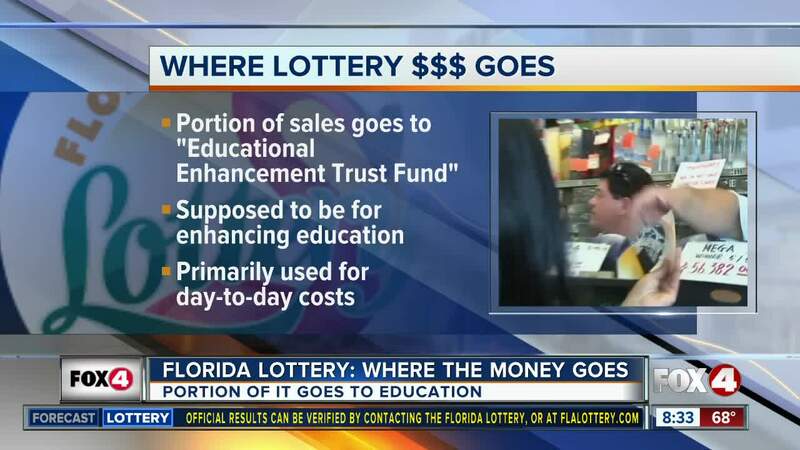 The Florida Lottery says they have contributed more than $16 billion to education in the past 16 years. The remaining funds get split the following way: 5.6 percent goes to retailer commissions,1.3 percent goes to lottery administration and 1.4 percent to ticket vendor fees.